This stamp is one of a set of three celebrating the traditional masks of the region. This stamp depicts a mask from the Chokwe ethnic group. 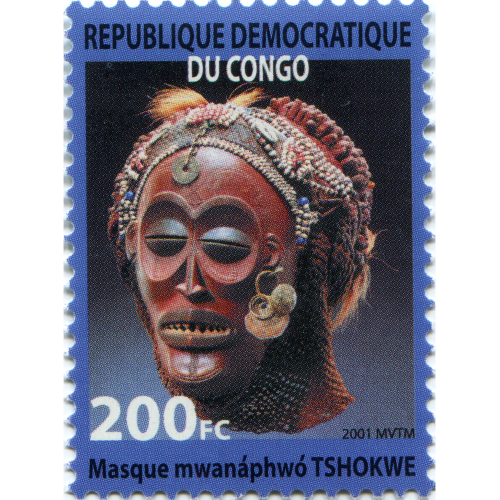 The Chokwe are celebrated for their plastic arts, especially wood masks and sculptures. 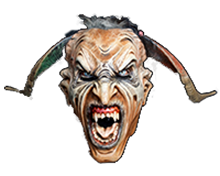 This specific mask is a mwana pwo, or female ancestor of great beauty, and it is used in adult initiation ceremonies for boys.